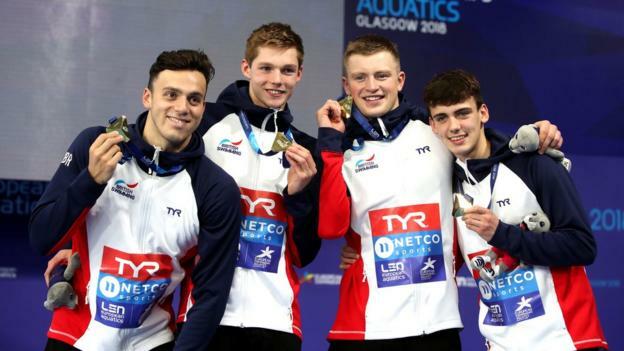 Morning finals will be an “exciting challenge” for British swimmers at the Tokyo 2020 Olympics according to GB performance director Chris Spice. Medal races are being moved from evening sessions to accommodate a request by American broadcaster NBC. The US broadcaster also influenced a later than usual start time for Rio 2016 finals and the morning finals seen at Beijing 2008. “We pride ourselves on swimming fast at any time and in any place,” Spice said. The Tokyo 2020 organising committee revealed the competition schedule for all other sports in July, but details for swimming, diving and artistic swimming – formerly known as synchronised swimming – were delayed. A consortium of Japanese broadcasters requested evening finals, but the American broadcaster NBC – which pays more than any other rights-holder to the International Olympic Committee – successfully argued the merits of attaining prime-time US TV audiences. Rebecca Adlington became the first British swimmer to claim two gold medals at the same Olympics in 2008 – the last time there were morning finals – and her former coach Bill Furniss now leads the British team. “We’re fortunate to have the coach who delivered the best British performances the last time this happened and he has clear ideas about what can work,” said Spice.